CCNAPHILIPPINES VIDEO SERIES | Video#8 - Why manage the network? Home » Video#8 – Why we need to manage the network? Video#8 – Why we need to manage the network? Idol mainit-init pa, here’s our video#8 in the ccnaphilippines video series. On this video#8, I talked about the reason why we need to manage the network. You’ll learn the basics and fundamentals of why companies use high-end networking devices to manage and control their network. Ishi-nare ko rin from this video ang ilang differences ng isang common home network at ng isang enterprise network. 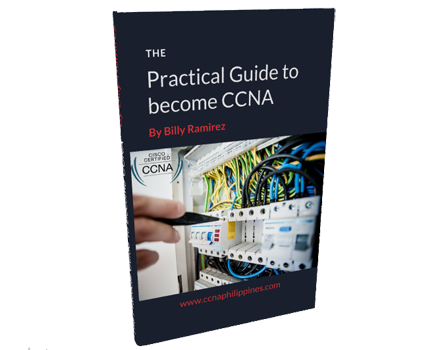 This video will surely be an additional knowledge that you can use in your CCNA journey. If you have comment or feedback, put them on the comment section below. Let me know what you think. Good am, sir lahat ba gagawaan mo ng video or recording? masarap kasi pakinggan. mag oopen na si idol ng training center kelan po ba para maka enroll na. thanks.